Maintain more control over your regulatory path and mitigate compliance risks with PAREXEL Consulting – especially when pursuing worldwide launches. Our experts provide an intimate knowledge of requirements in different markets and can help chart the optimal path for you. We provide practical interpretation and support implementation of diverse regulatory guidance all around the world, including in new high-potential markets such as China. Our Regulatory Consulting Services group is staffed by luminaries with 25 years of regulatory agency experience from the FDA, the EMA, and other regulators. Our experts have deep industry experience in drug development, and can offer insights into the competitive landscape, helping your teams interpret new and existing guidance every step of the way, anywhere in the world. Learn more about the approval pathway in the U.S. since adoption of the Affordable Care Act. 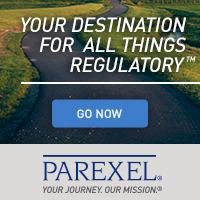 Read this new article written by PAREXEL's Paul Marshall, Ph.D. for Regulatory Focus.